This Chain Guard & Fixing Bolts can only be used with Shimano FC-M371 9spd Triple Chainsets with a 48-36-26T set up. Hi, Thanks For Your Reply. I Asked If This Would Fit A Truevative Fived 48T Ring. Will You Please Let Me Have A Drawing With Dimensions, Or Just Measure The Spacing Of The Fixing Points? I Am Having Trouble Finding A Chain Guard For This Ring And Any Help Would Be Appreciated. I'Ll Send A Photo If That Helps. There are four fixing points arranged into a square shape all 120mm apart from each other. 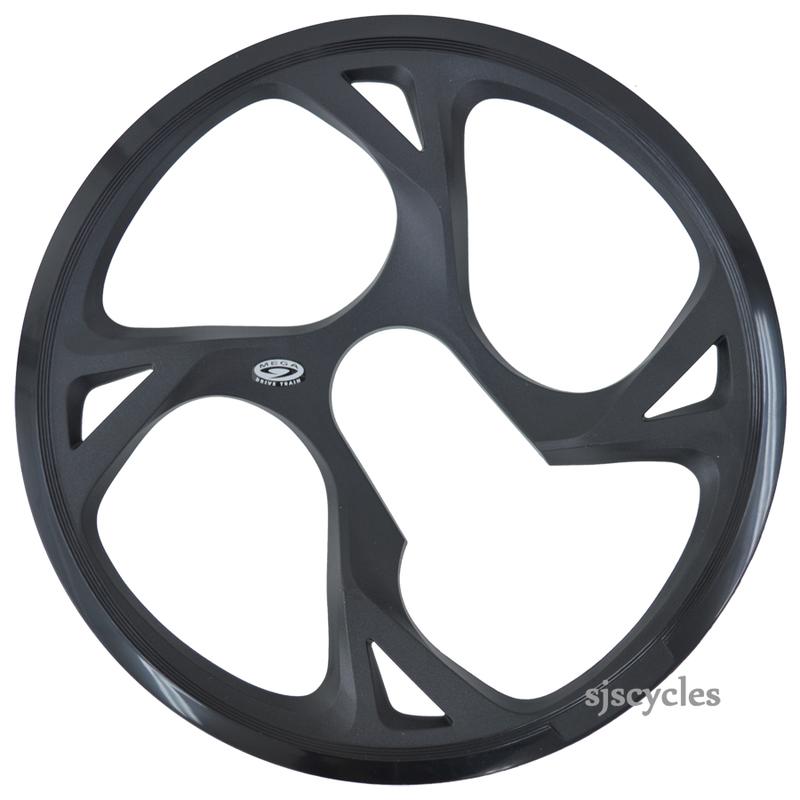 Will This Fit A Truvativ Fived Sram 48T Ring, Please? Unfortunately it is very unlikely to fit your chainset as this chainguard is designed for a specific Shimano chainset and chainring which have the mounting holes in the correct place to line up with those on the chainguard. Of the guards we currently have in stock to check there are two possible alternatives; the basic FC-T551 guard which is SJSC part 38380 and the higher quality FC-T781 guard which is SJSC part 38685. Hi, Could You Tell Me If This Would Fit A Shimano Altus Fc-M311 Please? Thanks. This chainguard is a different design and fitting to the one found on the FC-M311 chainset, so it is unlikely that it will fit or work I'm afraid. The correct replacement for the FC-M311 is not available from Shimano's UK supplier either I'm afraid. Will this chain guard fit a Shimano Acera M371 170mm 44/32/22T with four fixing holes please? As you have a 44T outer chainring you'll need to purchase the chainguard suited to that size. These are SJSC part number 38679.